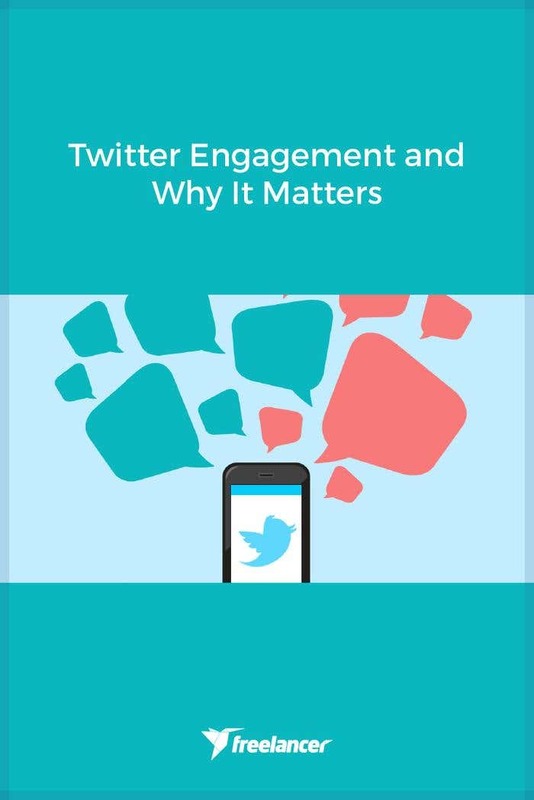 Twitter is the second biggest social media network in the world with over 305 million active monthly active users.Daily, 500 million tweets are posted (Newscred), and every second, 6,000 tweets are sent out. That corresponds to 350,000 tweets per minute and approximately 200 billion tweets per year (Internet Live Stats). They say funny people are smart--and vice versa. It doesn’t hurt to add a little wit and humor to your tweets. A study conducted by NewsCred indicates that the most shared type of online content are the ones that make people laugh. 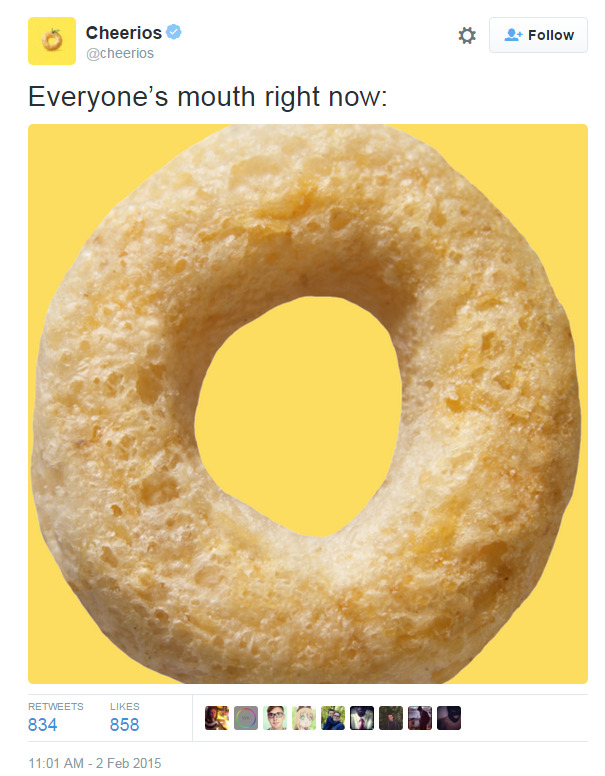 Viral mills like BuzzFeed and UpWorthy alone are testament to the explosion of the most shared and funniest content online. 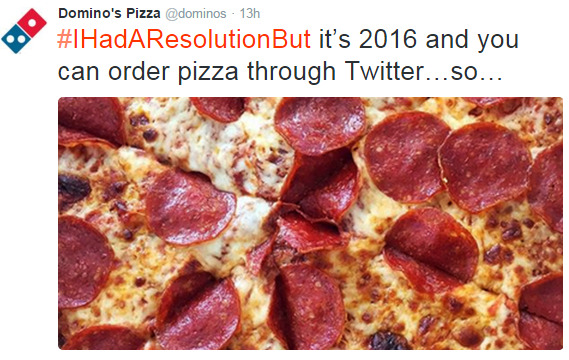 Everybody loves pizza, but Domino’s makes you love it even more. It doesn’t have to be April Fool’s. Humor always works to get much needed attention. The saying that “love will find you” doesn’t work on social media. Be the one to reach out to your market and get into personal conversations with them. Be happy with them, and be thankful. Moreover, don’t miss out on the opportunity to engage in real time; this keeps your brand alive. On a related note, be as human as possible and be authentic in your conversations. Don’t automate your Twitter to say “thanks for following” when you gain a new follower, or automatically send them a direct message to visit your website. 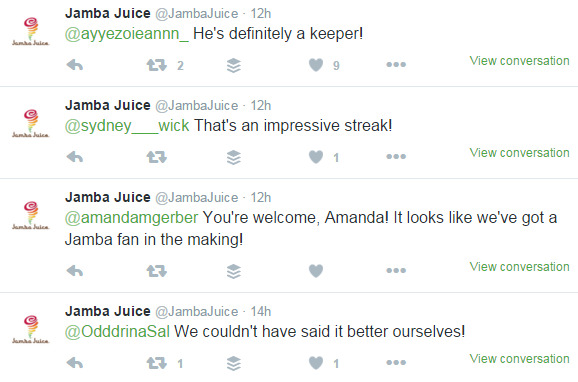 Nobody likes a Twitter bot. There’s no better way to foster brand love than recognizing and empathizing with your consumers. Most importantly, appreciate your followers. This is a way of giving back to your community without spending a single cent. Spread the love. Emojis show that you’re fun (well of course this all depends on your brand identity) and you take the effort to put them in your messages. Retweet. This way, you don’t hardsell your brand. Plus, it’s basically a testimony that people love you. Dive into the perfect moment. Remember holidays like Mother’s Day, Halloween, Christmas, and events like the Superbowl. This makes you relevant and includes you in the current trend. Cheerios making a break for it at the 2015 Super Bowl. 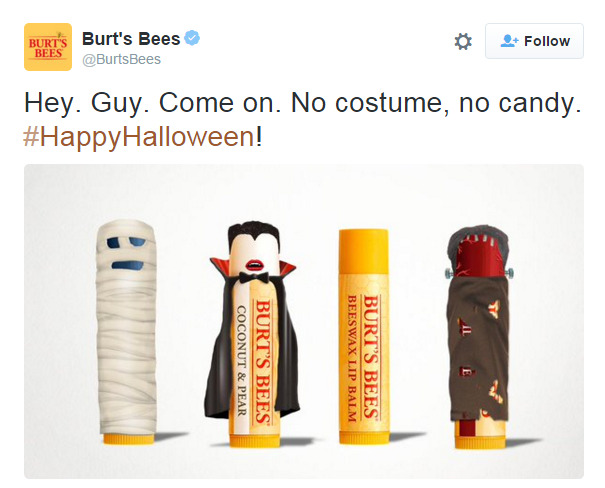 Dressing up your brand for a holiday is the first step, greeting your community is the next. You don’t have to be a lone ranger when it comes to making your brand more visible on Twitter. Sometimes, tying up with another brand, or even a celebrity, makes more noise. Arby’s poked some fun at musician, Pharrell during none the less, the Grammy’s. And Pepsi retweeted. Win indeed. 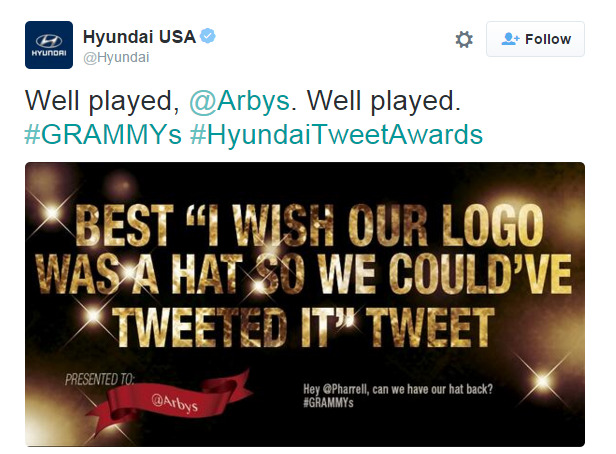 And Hyundai gives Arby’s an award. Hyundai’s brand promotion takes the backseat but it still works. Steal the limelight. Don’t make people forget you--even if a bunch of models are flaunting it. Hashtags are your friend but don’t overuse them. This is also how you stick out from every #ordinary and #overused hashtag. Cool, right? Undoubtedly the biggest movie of the year. They didn’t stop at simply #StarWars. 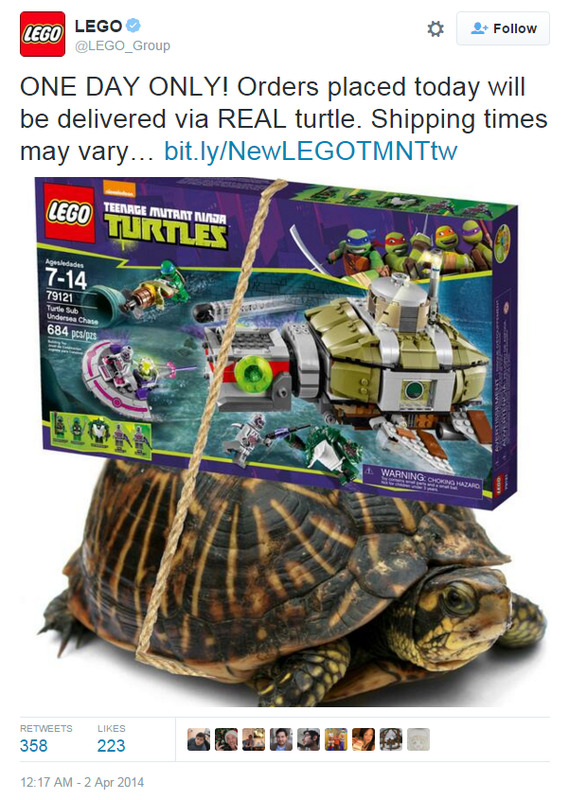 BB-8 and Rey were officially their hashtag marketing tool. 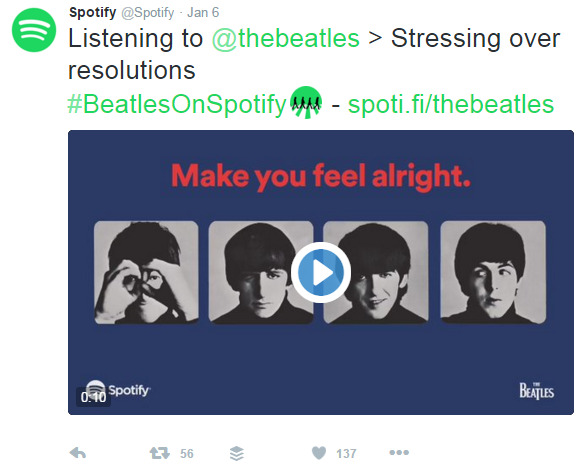 Spotify made The Beatles available to listen to for everyone! Now that’s quite the statement. 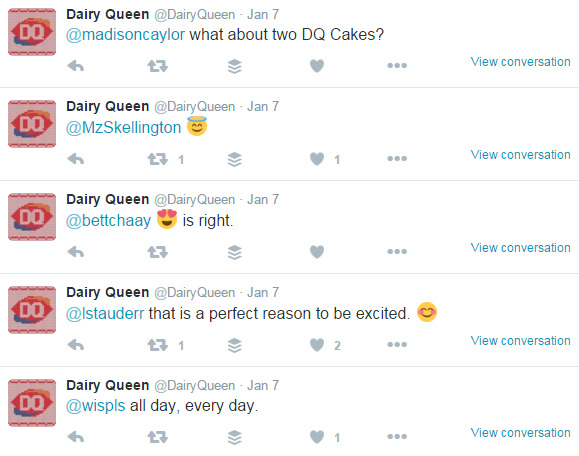 If you’d notice, the common theme among these tips for Twitter engagement is creativity. 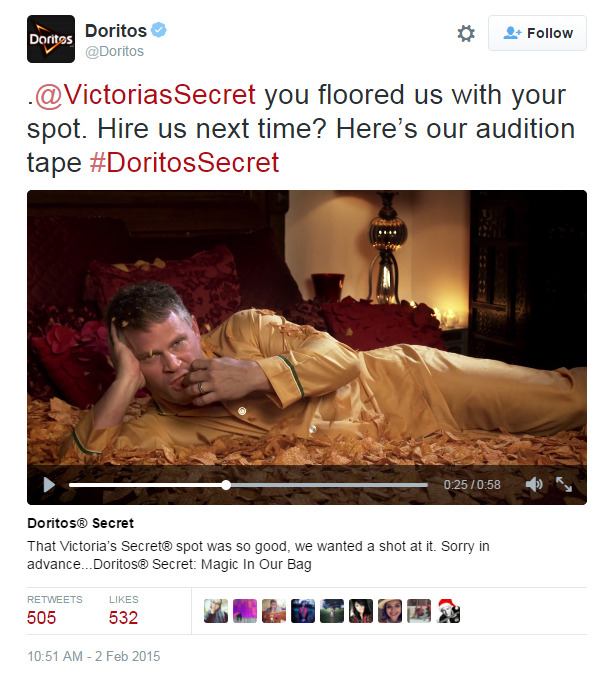 Humor, sincerity, diving into the perfect moment, co-creating, and branding all require creative flair for the campaign to be appreciated. Now that’s a different topic altogether (or something moneyed businesses consult ad agencies for). But if you’re creative enough and you have the wits to craft content that’s as fun as these brand titans, then you have it all figured out. What are some of your favorite brands on social media and what do you love about them? Share them in the comments!